How do I grant a staff member Administrator access to the eDiary? If you like to make an existing staff member in the eDiary an Administrator, follow the steps below. Please note this can only be done by a staff member who already has Administrator access. 1. 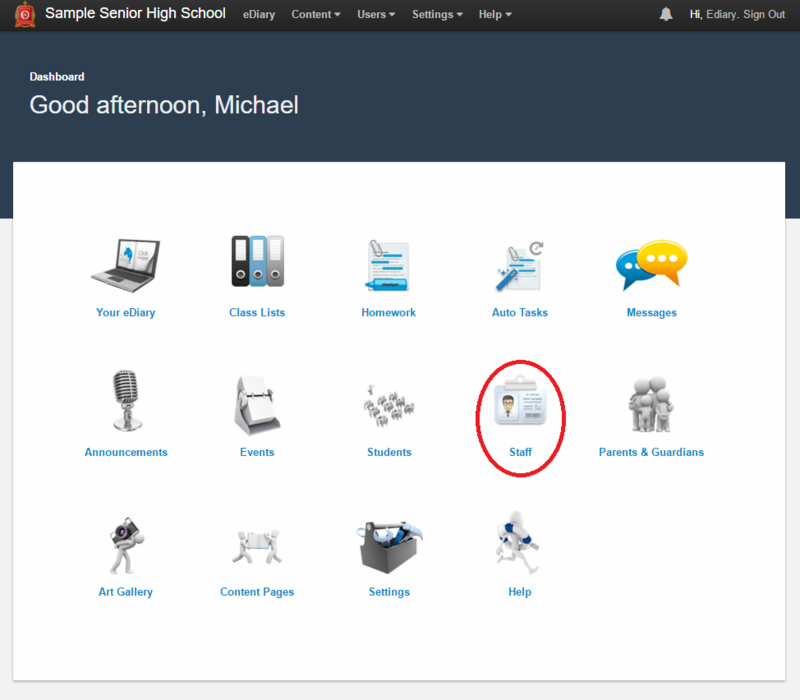 From your Administrator dashboard click the Staff icon. 2. Click on the name of the staff member that you wish to make an administrator. 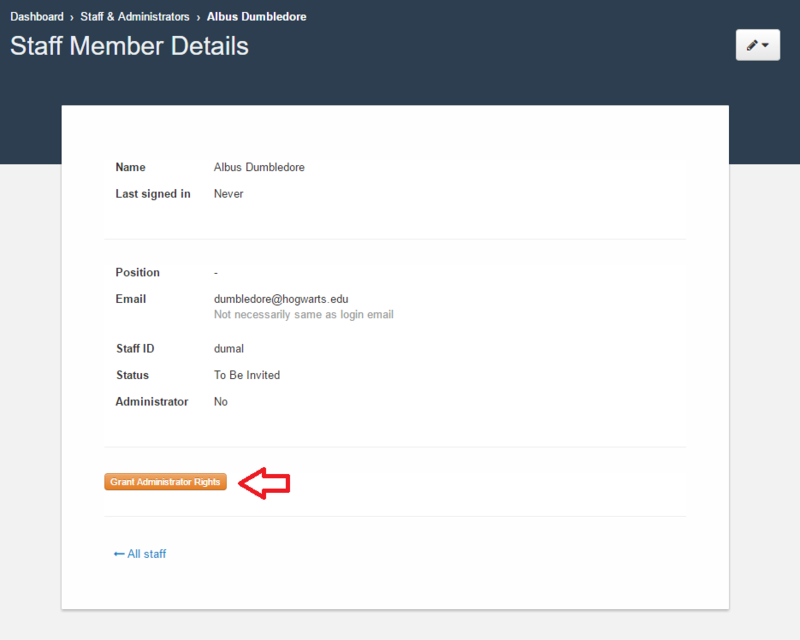 Once you have clicked the button it will change to Revoke Administrator Rights (which you can click if you would like to remove administrator rights). 4. Click <- All staff to take you back to the School Staff & Administrators page. To view just the Administrators of your eDiary, click the 'Administrators' tab. 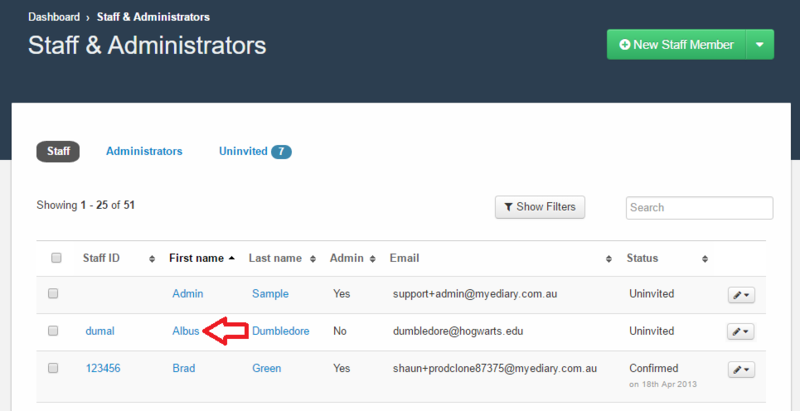 You can now see that the staff member has been added to the Administrator section.